Korazin Aparthotel by Jonathan Hotels is a new apartment hotel located in Nachlaot neighborhood at the heart of Jerusalem. Korazin Hotel offers vacation rentals designed to cater to all types of travelers. The hotel is perfect for couples looking for a romantic getaway, groups of friends, people travelling on business or even families that need a quite accommodation near the city’s leading attractions. 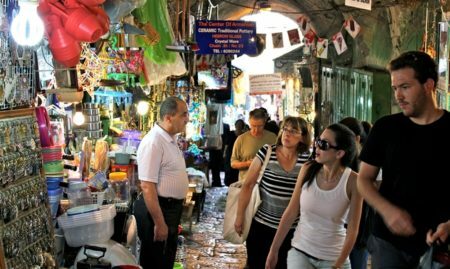 Machane Yehuda Market, The Great Synagogue, Mamilla Avenue, the Old City, and Bezalel Designers Row are all within walking distance from the hotel. There’s also a vast array of bars, restaurants and beautiful cafes right outside the hotel. In addition, you will find plenty of public transit offerings nearby, including busses and the light rail. Korazin Hotel offers a variety of apartments that would suit all needs and styles for all audiences of travelers. The vacation rentals are equipped with a kitchenette, which you can use to prepare meals and snacks. There’s a private bathroom in every room and cozy and intimate bedrooms that are simply fun to sleep in. The apartments are meticulously planned and designed to give a homely and spacious feeling. So if you’re looking for the perfect combination of a central location and luxurious design, Korazin Hotel offers travelers an extraordinary hosting experience. In order to ensure the best quality of service, the staff is kind, attentive and always happy to help guests. 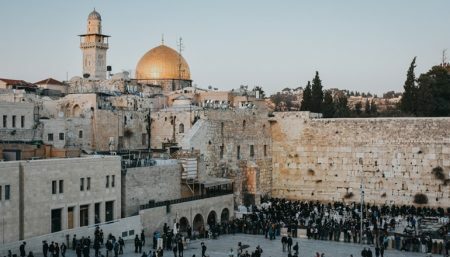 You can get information about getting around Jerusalem, visiting the best sites that the city has to offer, and experience Jerusalem in a magical and authentic way. Planning an intimate party? Celebrating a birthday or any other milestone event? Korazin Hotel offers a beautiful space for hosting your event with an option of reserving a special room for the occasion. In addition, thanks to the hotel’s diverse room choice, you can even host the whole family in the hotel. As for the planning, the hotel’s staff will help you in every step of the way, making sure your event goes perfectly and smoothly. Book your vacation in Jerusalem at Korazin Apartment hotel and get 20% off the third night! Intimate apartment for a romantic experience with a large double bed and the best amenities for the perfect getaway. Balcony is optional. This apartment is perfect for a family or two couples. The apartment includes a large double bed, sofa-bed, and all necessary amenities for an ideal vacation. Balcony is optional. This beautiful suite comes with 2 bedrooms with double beds and a living room with a sofa-bed. Up to 6 guests.